Archival photos courtesy of Sandra Boggs. Photos by Clarissa Yvette Dudios. 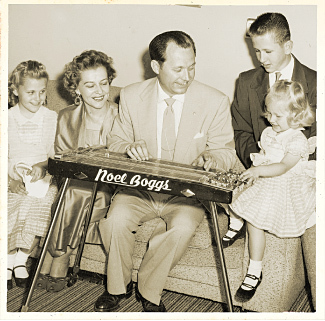 Noted in musical history as one of the players who pushed the steel guitar beyond Hawaiian music to more-complex chording and wild interchanges with Spanish-style electric guitarists, Noel Boggs emerged from a tragic childhood, using the guitar and music as a motivator, guide, and ultimately, means to a make a living. Boggs was born in 1917 in Oklahoma City to a family of very modest means. At just eight years of age, he watched as his father was shot to death over a water dispute on their farm. His fortunes began to change a few years later, however, when his mother, Anna, bought a Sears and Roebuck guitar to help his younger brother, Richard, pass time while recuperating from surgery after injuring himself while cutting grass with a scythe. Because their mom could not go to the hospital, Noel, 12, was appointed to be his companion, and it was there he took to the guitar after Richard expressed no interest; Noel would entertain his brother by using the guitar – propped flat across his lap – to match notes from songs on the radio (though he shunned the guitar, Richard discovered a passion of his own and went on to become a noted PGA golfer). 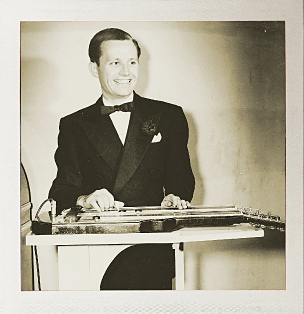 Intrigued by the instrument, but even more interested in the latest fad – Hawaiian music – and the lap-steel guitar used to make it, Boggs saved money to buy one. 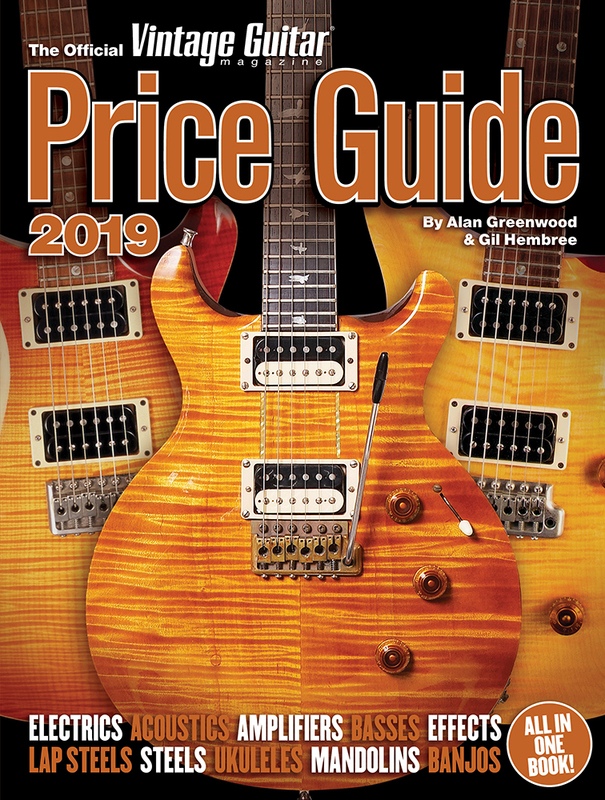 As he learned to play, he developed an appreciation for jazz, swing, and Dixieland at a time when amplified/electric guitars were beginning to supplant the big-bodied archtops in big-band and orchestra music. While in high school, Boggs fostered his love of music by working for three local radio stations and picking up side gigs. Then, just a month before he was scheduled to graduate, he was invited to join Hank Penny’s Radio Cowboys for a tour of the southeastern U.S. Boggs promptly packed his one and only suit, put his Rickenbacker lap steel in its case, and caught a bus. 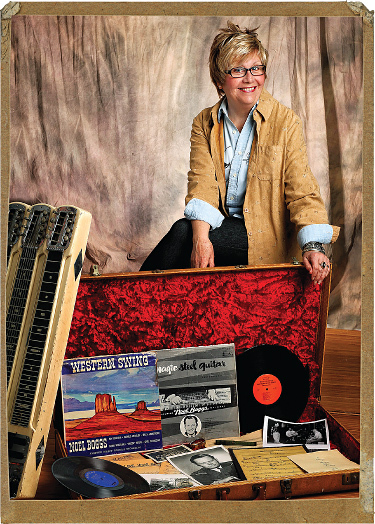 “Penny was leading one of the first Western swing bands east of the Mississippi,” said VG contributor and Western-swing authority Rich Kienzle. “Western swing was a blend of fiddle tunes, Western tunes, blues, pop tunes, and jazz played for dancers – featured jazzy instrumental work and originated in Texas with early groups like the Light Crust Doughboys – which included Bob Wills – Milton Brown and his Musical Brownies, and eventually, Wills and his Texas Playboys. The Radio Cowboys, however, worked mainly on radio stations, not dance halls. 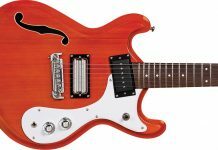 At the time, Boggs was making full use of the Epiphone Rocco as he and guitarists Jimmy Wyble and Cameron Hill would jam on complex melodies with key changes and solos that played off, between, and around each other; Boggs would run note-for-note with each. Boggs in the early ’50s, propped behind a four-neck Fender Stringmaster in his Spade Cooley uniform. 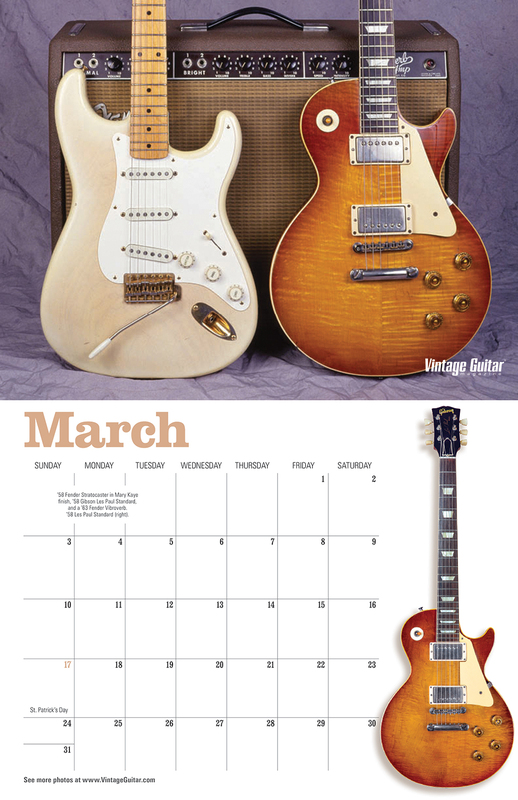 Leo Fender personally built eight four-neck lap steels for Boggs, most in this darker finish preferred by Boggs. When Boggs began appearing regularly on TV, Fender inlaid his name on their fronts in a script very similar to Boggs’ signature. Later versions had his name in block letters made from a glitter material. 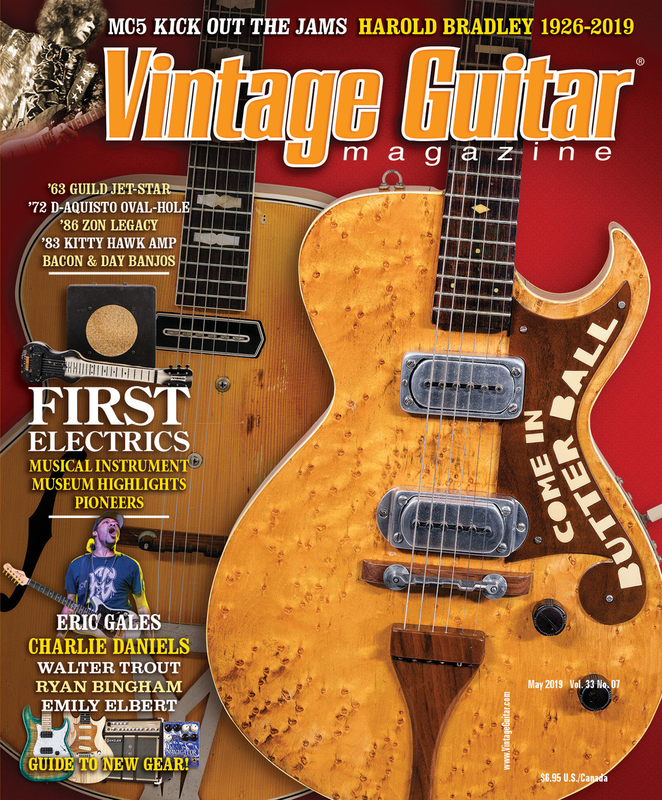 Boggs introduced Cooley to Leo Fender, who relied on local musicians to field-test his instruments and amplifiers. 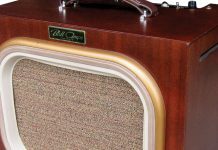 In ’46, Fender built a doubleneck for Boggs; Leo’s first such effort, it was one of several pieces of Fender-branded gear employed by Cooley and company. 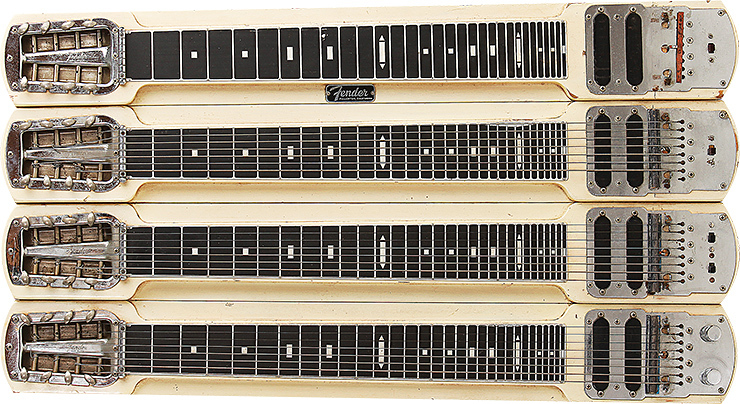 In ’49, Boggs was given Fender’s first triple-neck, and, in the early ’50s, a four-neck. 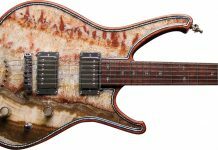 Boggs’ daughter, Sandra, recalls that each was essentially a prototype without a true serial number, though they were often marked in some way. The relationship, Sandra Boggs said, also led to their families becoming close-knit along with Freddie Tavares and his wife and two sons. Together, they enjoyed cookouts and spending weekends on Leo’s boat in Catalina, or hanging at Leo’s then-new shop in Fullerton. 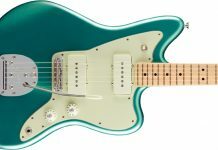 “Conversations started over hamburgers often culminated there, where Leo would take in all this information as my dad and Freddie Tavares talked about how music needed greater sound, better bass sounds, and how guitars needed wider necks.” That input would later become integral to the making of Fender instruments; Boggs became one of Leo’s most-relied-upon endorsers, and as such was given the newest guitars and amps to play. 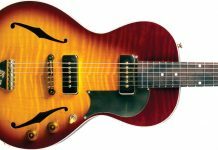 “Boggs used the four-neck when he toured with singer/fiddler Wade Ray in January, 1952,” said Kienzle. “When they went to Nashville to appear on the Grand Ole Opry, Ray and Boggs did an RCA session with Chet Atkins playing guitar and Owen Bradley on piano. Ray once told me that musicians on the Opry were puzzled by the four-neck Fender; at first they thought it was some kind of zither. Boggs stayed with Cooley, on and off, until 1955, when he suffered a heart attack that sidelined him for several months. After recuperating, he focused on studio work for Columbia Records, where he backed artists including Ray and Johnny Bond, and recorded an instrumental called “Steelin’ Home,” which is regarded as a Western swing/steel-guitar standard. He also formed the Noel Boggs Quintet, which recorded several albums with Neil LeVang (VG, December ’09) – later of the Lawrence Welk Orchestra – on guitar. Through the remainder of the decade and into the early ’60s, he worked for Jimmy Wakely’s label, Shasta Records. All told, Boggs has approximately 2,000 recordings to his credit. Boggs, circa 1940, with his first doubleneck steel and an Epiphone amp, used during his time in in Oklahoma City, where he performed on radio shows and played various backing gigs. Slowed by bad health, by the late ’60s, Boggs’ activity was limited. He died on August 31, 1974, after suffering a massive stroke and heart attack. He was just 56. In the years shortly after his passing, Boggs began searching for some of her father’s possessions that had slipped through the cracks. At first, her search produced precious little. “I asked Linda Wakely, Jimmy’s daughter, if I could buy his master recordings from Shasta, but she was in the process of selling all of her father’s artist masters to Varese Sarabande,” Boggs said. Disappointed, she turned her attention to locating the four-neck pedal steel he was using when he passed. The Boggs family at their home in Downey, California, 1953; Sandra (left), Helen Mae, Noel, Richard, and baby Debra Sue. The guitar has yet to surface. 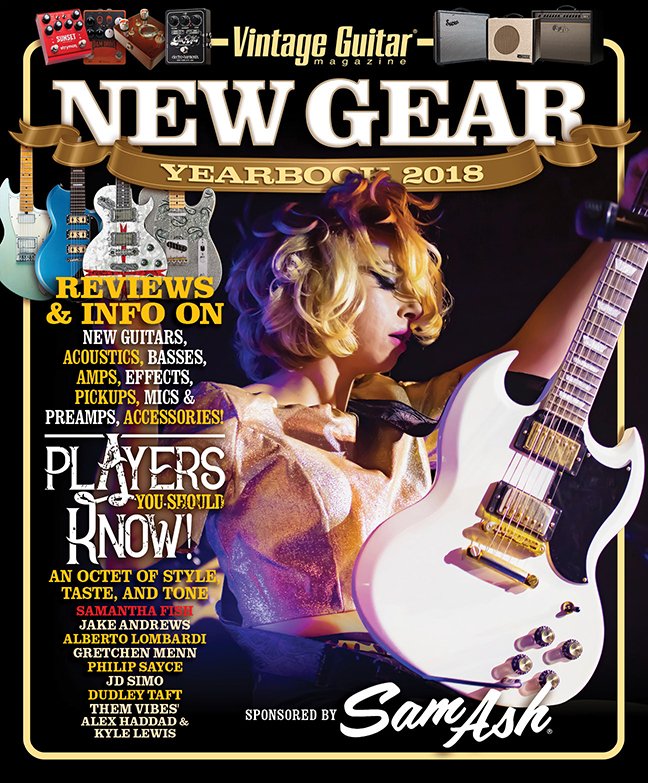 In the early ’90s, Boggs was sifting through some of her dad’s old albums when she found three he made for Barcus-Berry Recordings using a four-neck Stringmaster that had been a key part of his life and career. Her hunt then focused on the janitor. It’s a piece that holds special memories for her. “On it, he practiced at home, did sound effects for Cecil B. DeMille films, used it with Spade, and on sessions with Nat King Cole, Frank Sinatra, Louis Prima, Keeley Smith, and many sessions for Shasta and Capitol Records,” she recalled. It also accompanied him on a USO tour of the Orient; its tweed case still has remnants of luggage tape from the first leg of that tour, in Hawaii. She later bought from Barcus the masters of those albums – the final of her father’s career. 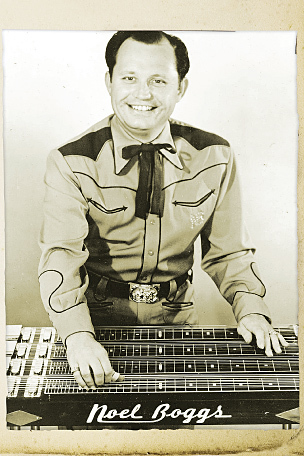 Though the various lap steels served Boggs well, with the advent of TV, a heightened professional profile, and further touring, he ultimately took to pedal steel, turning to Fender and Tavares to learn how to play the instrument, and design one. 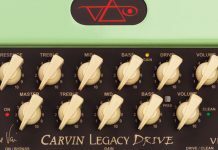 “They built one that had 16 pedals, and depending on how dad tuned it, he could augment the sound by double that,” said Sandra Boggs. 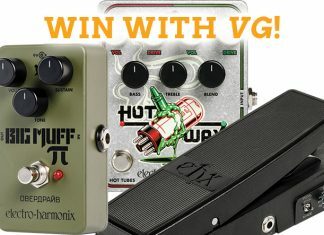 “He loved, learning to use it for jazz chords, and his style rapidly took on a more-refined sound. His close friendships with fellow musicians like Harold Hensley, Muddy Berry, Billy Hill, Jimmy Wyble, Roy Lanham, and Freddie Tavares offered opportunities to develop sounds that other steel players showed no interest in playing. He was not afraid of trying anything new, and his tastes were broad, his sound legendary. Boggs followed in her father’s footsteps by making her living in the entertainment industry, starting as a professional dancer and entertainer in Las Vegas. Shortly after, at the encouragement of her agent, she changed her name to Dannielle Mardi and appeared in 17 episodes of “The Beverly Hillbillies,” portraying Helen Thompson, a secretary at the Commerce Bank. Today, she teaches acting, while also performing and building props for the Wagon Wheel Theater in Warsaw, Indiana.